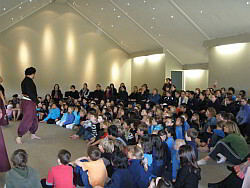 Te Hana Te Ao Marama welcomes the opportunity to share an authentic Marae and Maori cultural experience with teachers and students from schools, colleges and tertiary providers both locally and internationally. We offer amazing education cultural packages for school groups from local primary schools through to universities. Each tour includes a Marae welcoming (Powhiri) learn tikanga marae (protocols and practises) , whilst visiting Te Hana Te Ao Marama. Followed by a lite morning tea which concludes the official welcome of the powhiri, known as Whakanoa ( the lifting of Tapu). Prepare to step back in time 300 years ago in our 17th Century replica Maori Village and Pa Site. Hear the tragic love story of our beautiful Princess Te Hana, and how our township got its name Te Hana. 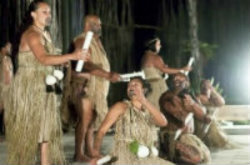 Te Hana Te Ao Marama Cultural Performances can be added to your school bookings for an additional cost. Minimum numbers required (25 pax) Enquire for pricing. Your program can be tailor made to suit your groups needs. If you would like to know more about your options please apply within. In May 2011 Te Hana Te Ao Marama proudly became a founding member for the New Zealand School of Social Entrepreneurship (NZSSE). The NZSSE enables community driven people to generate economic and social change within their own communities. As a member of the NZSSE, Te Hana Te Ao Marama was given the opportunity to offer two individuals a scholarship worth $18,000 each. The candidates for the scholarships were those that had a ground-breaking initiative to take their community forward and were selected to attend the class of 2012. The New Zealand Centre for Social Innovation are now seeking applicants for 2013. If you have a project idea and believe you have what it takes to move your community in the right direction, the NZSSE may be the answer. APPLY NOW and get the knowledge and the skills to get your project up and running. 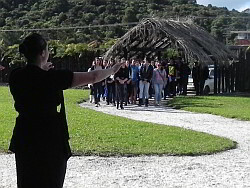 During the July school holidays 2011 Te Hana Te Ao Marama had the pleasure of hosting an educational tourism workshop (wananga) for 44 eager students from various schools throughout Northland. During their stay students were given the opportunity to learn about the Tourism industry in an interactive, cultural and fun environment. The school program was run through Gateway as well as the Aviation, Tourism and Travel Training Organisation, otherwise known as ATTTO, which offers students hands on experience and work place based learning whilst they are still at school.